Overheard Map of Now is an annual art show that takes place in a different country each year. 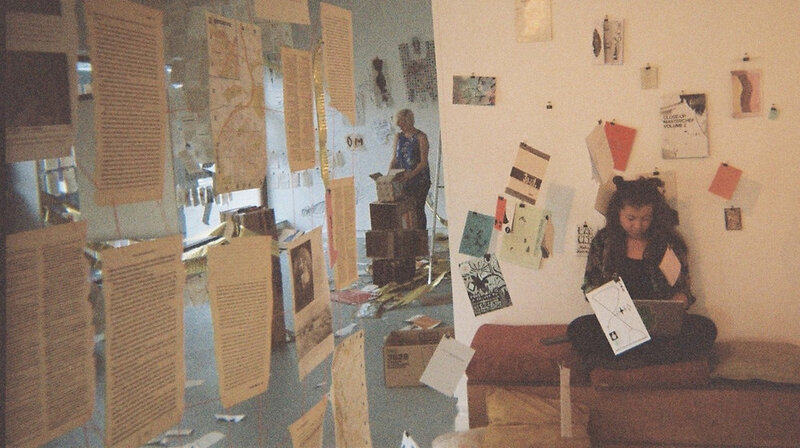 It is a mixed media exhibition of residencies and live installation works, like an art game of Chinese Whispers, with the aim of supporting highly collaborative work between emerging artists, through a structure of overlapping residencies where they produce work in response to one another. At its core, Overheard Map is interested in how contemporary art might be made more accessible; through simplifying the way we access it. Having just finished its third year, you can find documentation of the exhibitions here, see Luc Daley's video responses to the first exhibition, in Cardiff, here and my documentary on the second year, in London, here.